Take the lid off, and the aroma alone may tell you why this is Primo’s flagship product. After the rich scent, the essence of three types of garlic used are immediate on the tongue. This is a delicate heady balance of sweet garlic, sharp saltiness of sea salt, a touch of paprika, all backlit by just enough heat from red chilies. This is our Number 1 product for a reason, folks! What can’t you use this with? Don’t ask us, we use it on everything! 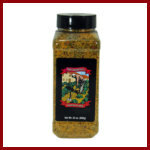 Obviously use it as a rub with any meat or seafood. Sprinkle liberally on grilled veggies. Think of Gotcha Garlic as a seasoning, and use instead of salt & pepper – pasta, salads, even popcorn! 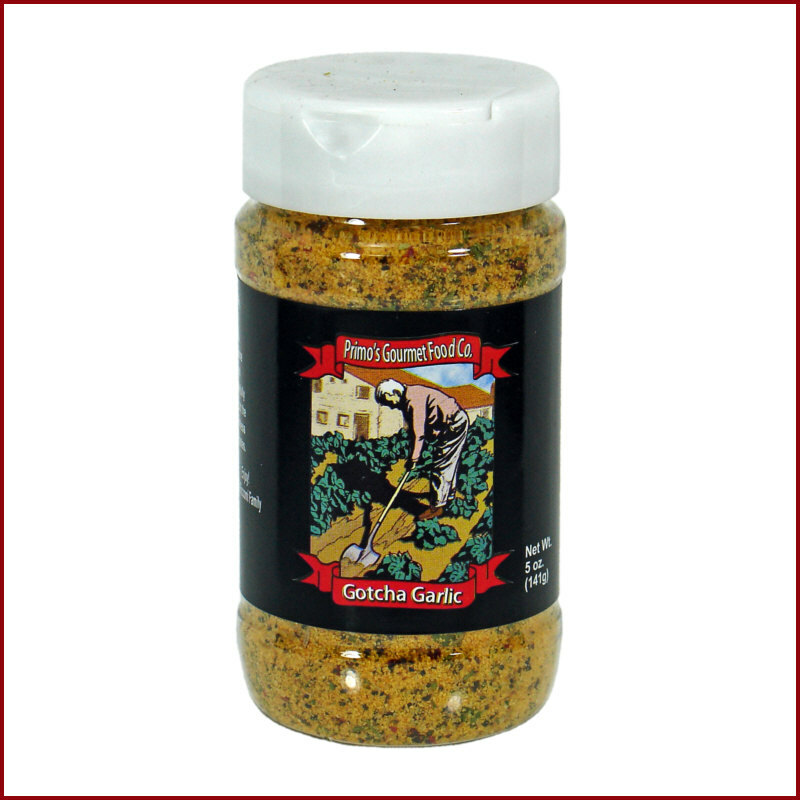 And you really haven’t ever had a great garlic bread until you try it with Gotcha Garlic! Take the lid off, and the aroma alone tells you why this is our flagship product. The essence of 3 types of garlic are immediate on the tongue. 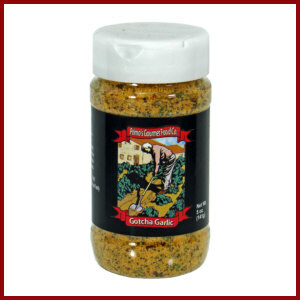 This is a heady balance of sweet garlic, sharp saltiness, & a touch of heat. This is our #1 product, folks!